Sadly we did not launch Nexø II last weekend, even though we had all equipment and almost all crew assembled in Nexø harbor. But fear not, we’ll just try again this weekend! The fact that we already have all the equipment in Nexø makes the operation a little smaller this time. Bolette and Sputnik are both in Nexø harbor and thus does not need to be sailed to Bornholm. 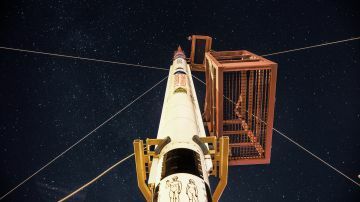 Helium, nitrogen and LOX is also waiting in Nexø and perhaps most importantly, the star of the show, the Nexø II rocket is patiently waiting for us to unpack it and crane it onto Sputnik. Last weekend was not wasted work. In addition to the fact that many of us had a nice weekend in Bornholm, we made as many preparations as possible. 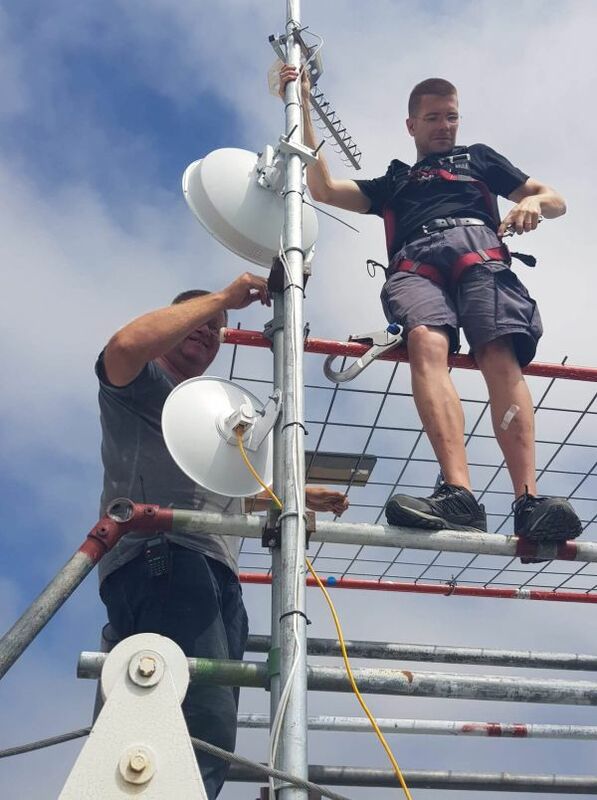 Among other things, we had a small team in the Bornholmer tower to install our data link, which is located at the top of the tower. On that note, we are grateful for borrowing space for our gear in the tower. Peter and Uffe installing the data link in the Bornholmer tower. We also used the opportunity to get Bolette Munkholm out of the water at the Nexø slipway to inspect her below water. She turns out to be of a somewhat odd shape, but now it makes perfect sense that there is so much space below deck. 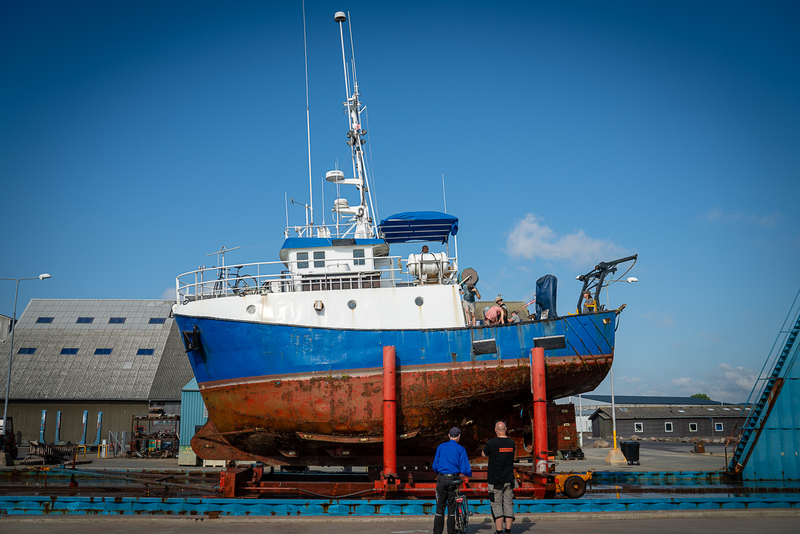 Bolette Munkholm out of water in Nexø. In the last couple of days, we have studied the weather forecast fairly thoroughly. As it seems right now, the weather is optimal early Saturday morning around 8 o’clock. Thus, we intend to sail out very early and you guys will also have to get up early to catch the stream! The tentative plan is to sail from Nexø shortly after midnight, then we will spend about five hours sailing before arriving in ESD139. Then launch preparations will commence and we plan to be ready to launch at 8 AM! This is of course subject to change if the weather forecast changes. But what are those launch preparations actually, you mind think? 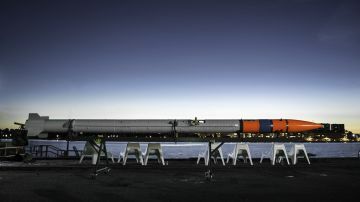 Well, it is all detailed in the Nexø II checklist that is available right here. The individual steps might not mean too much to you at this stage but it should give you a clear idea about the general preparations taking place and during the stream you can now follow along step by step. We wish you all a really great Saturday morning in front of your preferred streaming device, we will do our best to deliver a spectacular launch. If you are having a hard time waiting for it (like us) you can kill some of the waiting time with this great piece by Wired who visited us a few weeks ago.  Congratulation for that lucky and successful Launch. Congratulations! Very exciting to watch. One quick question. Why wasn’t the insulation around the LOX section of the rocket removed before launch? The speakers in the live-stream told, that you had chosen to remove this manually, instead of developing a system that could automatically rip it of during launch. Yet it was still on the rocket when everybody had left the rig.